1. 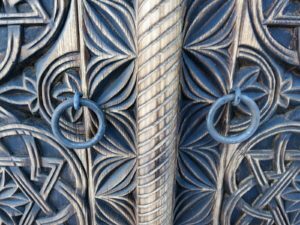 How to look after yurt? 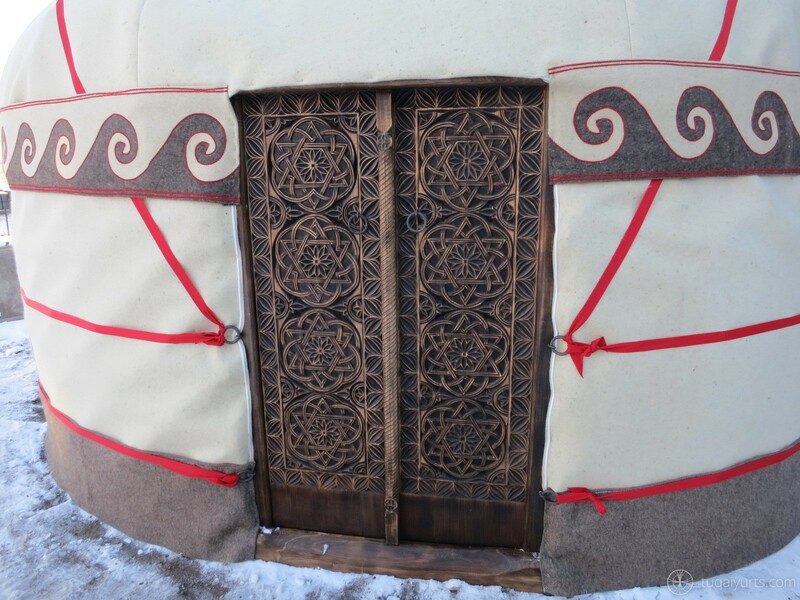 If you are using your yurt constantly and not moving it anywhere then once in half a year you need to take out the felt and the cover and then to retie the ropes. After heavy rains it is recommended to air the yurt. For that you need to open the roof felt and put up the bottom part of the felt which is close to the ground. 2. How to store unassembled yurt? Yurt should be stored in dry ventilated place, the temperature is not important. Clothes moth can be the biggest danger for felt, to avoid it please store felt in plastic bags, you can also use remedy to scare away the moth. Before packing, the felt should be properly dried and aired. 3. Does yurt need a floor? If you are going to use yurt for a short period of time you can assemble it on the ground. But if you are going to use it constantly then is better to have wooden deck, for winter usage you should warm the floor. If there is a possibility to use electricity then you can have heated floors. 4. Can a person walk in full height inside of the yurt? The height of the frame itself is 1.5 meters but thanks to the bent roof the height of the walls is 1.9 meters. Even very tall person can stand in full length in any part of the yurt. The height of the cupola depends on the diameter of the yurt. 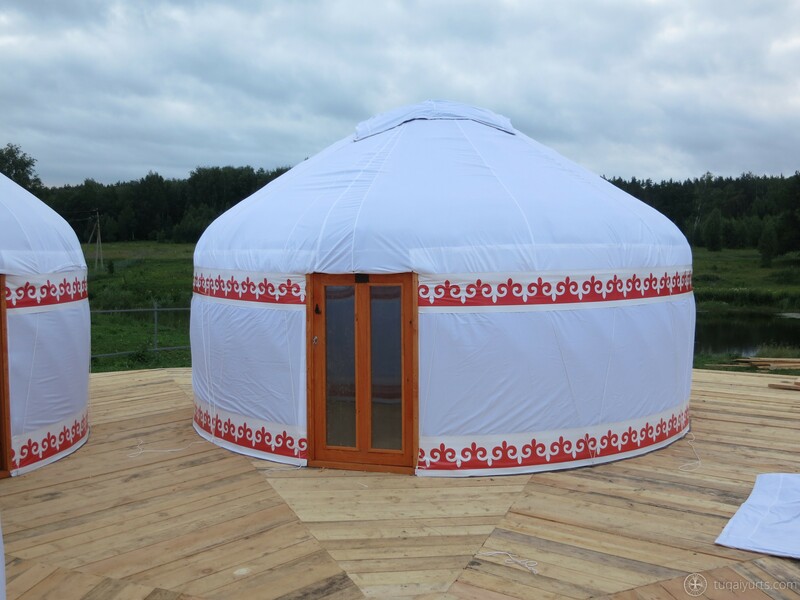 In 4 meter diameter yurt the cupola can reach 2.5 meter height and in 8 meter diameter yurt it can be 4 meters. 5. 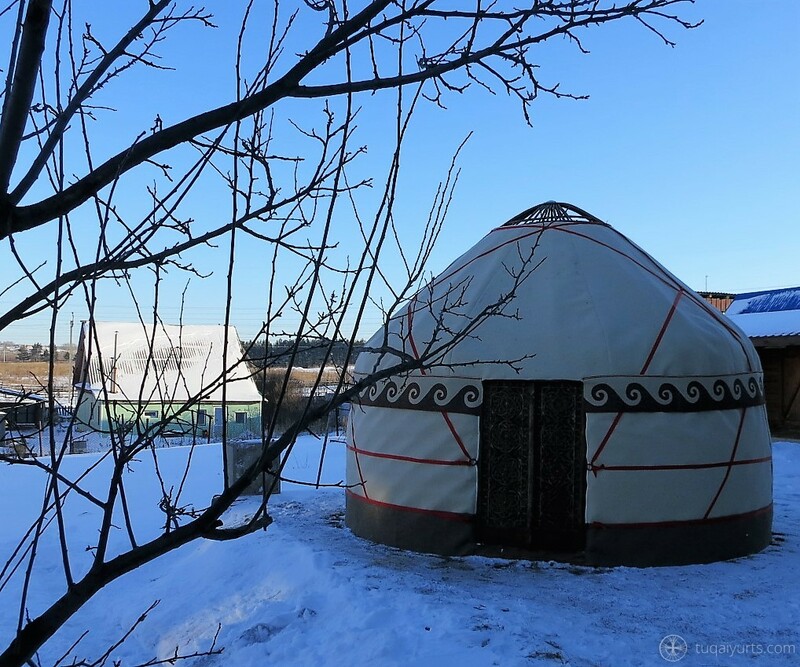 Can yurt handle heavy snow? Traditionally yurt was used in geography with not much snow; that is why there is need to clean the snow from the roof from time to time. It is a very simple procedure: you should poke the roof with a stick from inside to make the gathered snow to slide down. 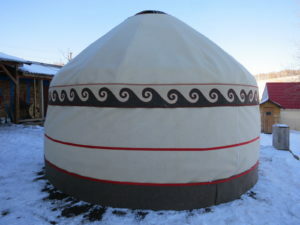 We can also make very thick snow-resistant variant of yurt but it will add extra price to it. 6. 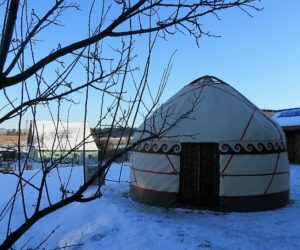 How arrange heating inside of the yurt? You should choose the capacity of the furnace depending on the size of the yurt. 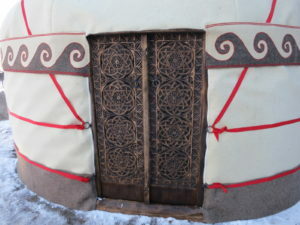 The optimal variant is to put the heating in the middle of the yurt but not many people like it. 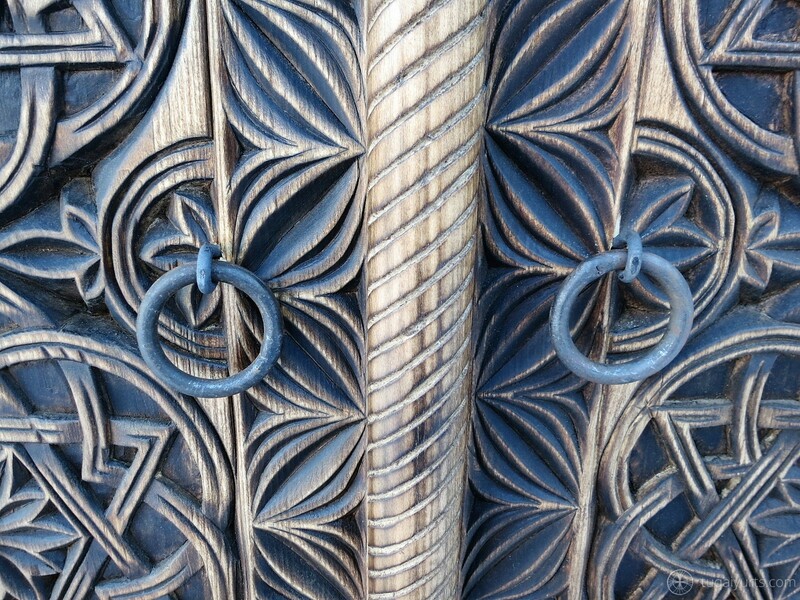 That is why we recommend you to place it at the entrance on the right. The furnace should be min. 0,5 m away from the walls and the door and min. 1,2 m away from the ceiling. The floor and the walls should be protected with the screen. It is better to make chimney on the wall in that case. 7. 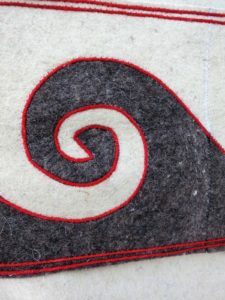 Felt: natural or artificial – what is better? Tastes differ. We will tell you the advantages and disadvantages of both. Natural felt is non-flammable, does not rot, it is pleasant to touch and nice to look at, it is classics but it is more expensive than the artificial one, especially the white felt. Artificial felt is not expensive but colder in comparison to natural one, flammable but does not rot. 8. Which textile do you use to cover the yurt on top of the felt? Canvas that we use is made of flax (50%) and cotton (50%). The cloth is breathing, can rot if constantly wet, can let water through a bit. It is better for dry climate. “Oxford” textile is water resistant, does not rot, has different colours, does not fade, it is smooth, but does not breethe and can crack in sharp frost (below -35°С). 9. How to assemble yurt? Here you can find instructions on how to assemble a yurt.